McDonald’s in Japan is testing something few of us would have the guts to try, but there you have it: chocolate-covered French fries. It would be something to see if the rest of the franchise worldwide tried to measure up and outdo the Japanese. 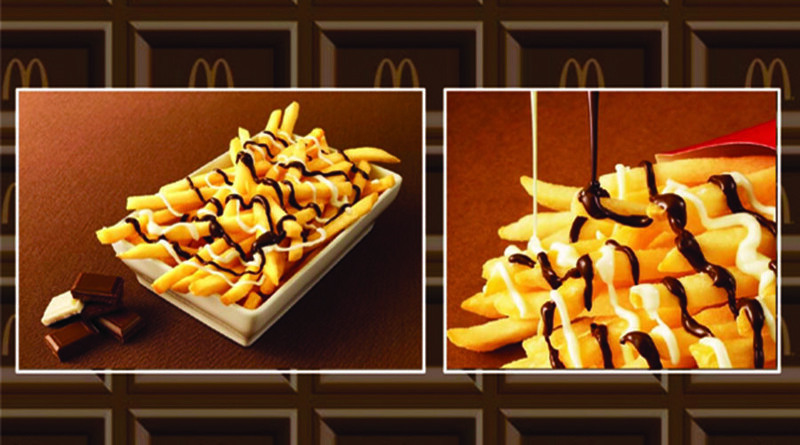 The new treat, dubbed the McChoco Potato, will be covered in two different chocolate sauces – coco and white, a company release stated. The only catch is its limited edition, like much of McDonald’s experimental stuff. “McDonald’s Japan continues to introduce surprising and unique menu items that exceed customers’ expectations,” the company adds. If you know McDonald’s Japan, you know this is not the first time they tried to turbo-charge a serving of fries; earlier the company presented something called the Shaka Shaka Potato – fries topped with bacon or cheese sauce.